Can Olivia survive the crime and Gold Rush fever of 1849...and the countless marriage proposals? A series for fans of all things related to history, romance, adventure, faith, and family trees. 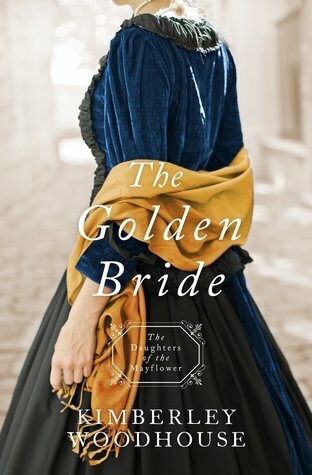 The Daughters of the Mayflower series continues when Olivia Brighton finds herself widowed and working her brother’s restaurant in San Francisco during the height of the rush for gold. Even though she receives at least twenty marriage proposals a day, she will never marry a gold miner. Her brother’s friend Joseph Sawyer has gotten caught up in local politics and the plight of Chinese in forced labor. The more Joseph gets pulled into investigating crime in the city, the less Olivia sees of the compassionate man. And just when she thinks she could love again, a fire threatens to steal all hope. This is the eighth book in the Daughters of the Mayflower series. Woodhouse has written three books in this series: The Mayflower Bride (#1), The Patriot Bride (#4), and this one. I really enjoyed the previous two, especially Patriot Bride, but I enjoyed Golden Bride even more. Many of Woodhouse's books are historical, and she excels at historical accuracy, and I have learned a lot by reading her books. I am one of those readers who will Google things to see if it really did happen or exist, and she never disappoints. The Golden Bride is such an example. I have read about the Gold Rush before, but she focused more on the city of San Francisco and what it was like at that time. This book was more suspenseful than her other two in this series, and had bad guys who were more evil and unlikable than the other two books. I did find the descriptions of life there in that time fascinating, and liked the three main characters: Olivia, Joseph, and Daniel. There was a lot to like and find interesting, including the running of a restaurant in that time and setting. The illegal slave trade brought the reminder how evil can be, and how evil is not bound to any time or place. The secondary character Julia was a reminder that God can reach, save, and change any individual, no matter how wicked and sinful they are. I try not to give spoilers away, but will say I also liked the minor character Luke, and how that played out. The romantic element of the story was well done....not gushy or overdone, and I was rooting for it throughout the book. The Golden Bride had a very satisfying and suspenseful ending, and I only wished it had gone on a little longer....a normal feeling when a good book ends. This series can be read out of order, and each book stands independently of each other. I have only read the three by Woodhouse, and definitely recommend them....especially The Golden Bride...but I am sure the whole series is good and worth reading. The Golden Bride is available from Barbour Publishing. I was given a copy of this book in exchange for my honest review. Overlooking the Hudson River on the campus of the United States Military Academy at West Point are 12 granite benches, each inscribed with a word representing a key leadership virtue: compassion, courage, dedication, determination, dignity, discipline, integrity, loyalty, perseverance, responsibility, service, and trust. These benches remind cadets of the qualities that lead to victory and success, not just on the battlefield, but in all of life. With his signature enthusiasm and insight, Pat Williams shares the incredible stories of West Point graduates who exemplified these traits, from the Civil War to the War on Terror. He shows readers of all backgrounds how to develop these 12 essential virtues in their lives, whether they are in the corporate world, the academic world, the military, the church, or in some other sphere. I really don't know much about Westpoint, but this book intrigued me, so I requested it for review. It is more of a deep read than my average reading material, but it was an interesting read. There is a lot of history in it, as the authors go as far back as the Civil War to relate stories of graduates who portrayed the characteristics well. There are people in the book I have heard and read a lot about, and others I had no clue who they were. The author did a great job of finding the information and compiling it in a book like this. Since I don't know a lot about Westpoint, I had no idea that they had leadership virtues, or what they were. I enjoyed learning about them, as well those who exemplified those virtues down through the last couple hundred years. In addition to learning about these people, I also walked away with a greater appreciation for our military and what they do to keep our country safe. Along with that, I also learned more about these virtues and how important they are for all of us, not just the military. Pat Williams is senior vice president of the NBA's Orlando Magic. He has more than 50 years of professional sports experience; has written more than 100 books, including the popular Coach Wooden, The Difference You Make, and The Sweet Spot for Success; and is one of America's most sought-after motivational speakers. He lives in Florida. Find out more at www.patwilliams.com. 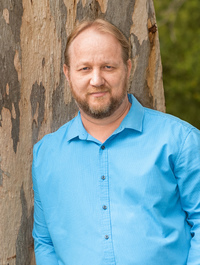 Jim Denney is the author of Walt's Disneyland, Answers to Satisfy the Soul, Writing in Overdrive, and the Timebenders series for young readers. He has written many books with Pat Williams, including Coach Wooden, The Difference You Make, and The Sweet Spot for Success. Learn more at www.writinginoverdrive.com. 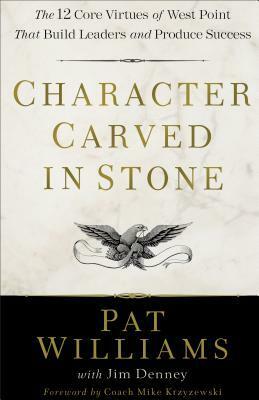 Character Carved In Stone is available from Revell, a division of the Baker Book Publishing Group. Regardless of where you are in life, change is always an opportunity. The most immediate path to lasting positive change will always be found in how we think about things. We either frame the various areas of our lives to regress, remain stagnant, or accelerate forward, and a single shift in our thought patterns can change everything for us. That's what A Shift a Day for Your Best Year Yet is all about. Small shifts that add up to dynamic new directions. 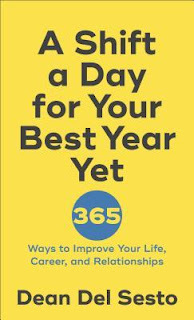 With these 365 original quotes, readers will find themselves well on their way down the path to greater success in their work, relationships, and lives. Short, memorable, and to-the-point, each thought-provoking page is designed to interrupt thinking that doesn't work and replace it with thinking that does. The perfect spontaneous gift for a friend or impulse buy for oneself. This is a cool little book that anyone could use and benefit from. From the title, I assume the idea is to read one each day throughout the year. They are short enough though that a person could read several if they wanted. There are two per page, and after each way, there is a short paragraph expounding on the idea. The ways they give to improve your life cover a wide variety of topics, but they are well thought out and valuable ideas. The book is an interesting read, whether you do it daily or read several a day. It is definitely worth reading, and very helpful. Dean Del Sesto runs an award-winning branding and communications agency called Breviti (breviti.com) and is also a partner in Veracity Colab, a B2B and consumer-based video agency (veracitycolab.com). With over 25 years in marketing, Dean has been directly involved in the brand development of more than 800 companies, developing over $1.6 billion in revenue for his clients. He is a keynote speaker (deandelsesto.com), is the author of Shift Your Thinking and Shift Your Thinking for Success, and lives in Southern California with his wife, Kittrena. The book is available from Spire, a division of Baker Book Publishing. In a similar vein to The Traveler’s Gift by Andy Andrews or Dinner with a Perfect Stranger by David Gregory, The Baggage Handler is a contemporary story that explores one question: What baggage are you carrying? This was a book I wasn't sure I'd like, as it didn't sound like what I normally read. I decided to give it a try, and am glad I did. The book pulled me in, and I found myself completely enjoying it. I guess you could call this book a parable, as real luggage is used to show how we carry baggage around. This is a book that most people could probably relate to and enjoy. Most of us are weighed down by something. Topics of forgiveness, envy, and other negative things we need to let go of are dealt with....and if it isn't those things, there are other things that weigh people down that the book could help address. Although God and Christianity are not mentioned, I would still call it a Christian book, as there are things we as Christians need to let go of if we are to live productive Christian lives. I found the whole plot quite genius, and especially when the three main characters were forced to confront their baggage. The book was a fun read, if a book that makes you say "ouch" and convicts you can be fun. I found myself relating to more than one thing addressed in the book, and am sure many others would have the same experience. If one were to take this book to heart, it could definitively help. I definitely recommend. David Rawlings is an Australian author, and a sports-mad father of three who loves humor and a clever turn of phrase. Over a 25-year career he has put words on the page to put food on the table, developing from sports journalism and copywriting to corporate communication. Now in fiction, he entices readers to look deeper into life with stories that combine the everyday with a sense of the speculative, addressing the fundamental questions we all face. Website: www.davidrawlings.com.au; Facebook: David Rawlings – Author; Instagram: davidrawlingsauthor. 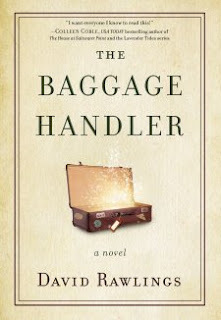 The Baggage Handler is available from Thomas Nelson Publishing. Thanks to BookLook Bloggers for the review copy. The moving, entertaining, never-before-told story of how one man found his calling. There are not many celebrities who impress me, but Gary Sinise is one who does. I rarely read biographies/memoirs......like almost ever...but this is one that interested me. This man has done so much for our military and their families over the last several years, it is amazing and impressing. Even given my usual disinterest in this kind of book, I found it to be both and interesting and moving read. Sinise tells about his growing up years and how he entered the movie industry, mostly because of his dad's working in that industry. Since his work with the military came about largely because of his role of Lieutenant Dan in the movie Forest Gum, he talks about that movie and his role in it, and how that led to the "Lieutenant Dan Band", which tours all over the world performing for our troops. There are sad and moving parts to the book as he tells of his visits to wounded and hurting vets and their families. 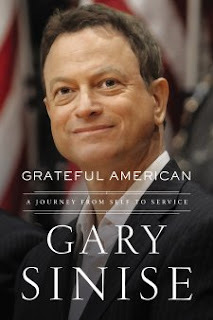 The book has several photos of Sinise down through the years which are interesting to view. I have admired this man for a long time, but after reading this book, I admire him even more. If more people did what this man does for our military and for even others in our world, the world would be a much better place. Gary Sinise is an American actor, director and musician. Among other awards, he has won an Emmy Award, a Golden Globe Award and was nominated for an Academy Award for one of his most memorable roles as Lieutenant Dan Taylor in Forrest Gump. Another notable role was as Detective Mac Taylor in the CBS series CSI: NY (2004–13). 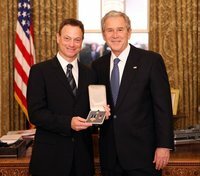 in 2011 Sinise established the Gary Sinise Foundation. The foundation's mission is to serve and honor our nation’s defenders, veterans, first responders, and their families. His "Lt. Dan Band" performs for military bases, charities and fundraisers supporting wounded heroes, Gold Star families, veterans and troops around the world. In a world where immersive VR suits distort what is real from what is not, and the AI Personhood Act blurs the lines between body and bot, the choices sixteen-year-old Hattie Martins faces are very personal. Just as her life is looking up--a new job, new friends, a new date--Hattie discovers not all progress in her beloved, futuristic Philadelphia is for the best. Societal regrets can become personal regrets in an instant. Choices don't always come with second chances, and when they do the cost can be unimaginable. How far will she go to undo her greatest regret? And worse yet, what will she become if it's too late? In a world where bots are equal to bodies, what does it mean to be alive? 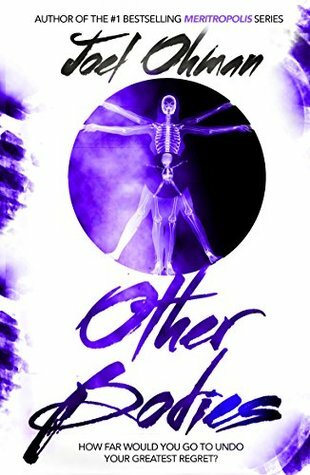 In this blistering new young adult novel from the #1 bestselling author of the Meritropolis series, readers will question everything they know about life and reality in a unique dystopian adventure that is equal parts moral dilemma and romance. I am very pro-life, so this book intrigued me. I like dystopian books, and this falls into that category. The author did a great job on the setting/time period. He came up with a great main character and plot, and I feel he dealt with the issue of abortion very well. Slight spoiler: the main character goes to work at an abortion facility, and also has to deal with the consequences of her former actions. I had a little difficulty getting into the book, but I ended up enjoying the read. I found the ending rather sad, and found myself wishing that the author had ended it differently, but I still liked the book. It was also interesting to read the author's ideas of what life might be like in such a society with robots doing so much and human life not being valued much higher than a robot. Through a story, the author shows the awful realities of abortion and the results of the act. Worth reading. 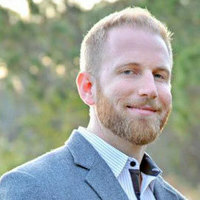 Joel Ohman lives in Tampa, FL with his wife Angela and their three kids. His writing companion is Caesar, a slightly overweight Bull Mastiff who loves to eat the tops off of strawberries. Joel is the author of the #1 bestselling Meritropolis series—“The Hunger Games meets The Village with a young Jack Reacher as a protagonist”. Joel is a Christian, CEO, CERTIFIED FINANCIAL PLANNER™, author, angel investor, and serial entrepreneur who loves creating new things, whether books or businesses. He is the founder of a number of web startups and currently serves as the CEO and lead operator of 360 Quote, a private equity backed platform company in the online lead generation space, the co-founder and CEO of a B2B SaaS software company, Exercise.com, and has also previously served as the founder and resident CFP® of a national insurance agency, Real Time Health Quotes. He has an undergraduate degree in Business from Clearwater Christian College, an MBA from the University of South Florida and a Master’s of Divinity from Southeastern Baptist Theological Seminary. He loves the city of Tampa and is heavily involved in the community: he serves on the board of the Tampa Bay Fellowship of Christian Athletes, as a trustee of The Idlewild Foundation, and is a deacon, missions trip leader, and member of the finance committee at Idlewild Baptist Church. Exercise.com – We are the world’s best platform for logging workouts and delivering workout plans on the web, iOS, and Android. CarInsuranceComparison.com – We make comparing car insurance quotes from multiple companies easy! Joel has written for and been mentioned in many different online and print publications including AllBusiness.com, AOL.com, Banks.com, BusinessInsider.com, ChicagoTribune.com, Forbes, Inc.com, the LA Times, Newsweek.com, Reader’s Digest, WashingtonPost.com, USA Today, U.S. News & World Report, WiseBread.com, Yahoo Finance, and many more as an expert source so don’t hesitate to contact him if you need a quick response for an article or project you are working on. Author's notes about the book here. Changing minds with a story here. Link to buy the book here. Thanks to FlyBy Promotions for the review copy. While attending the Chicago World’s Fair in 1893, Winnifred Wylde believes she witnessed a woman being kidnapped. She tries to convince her father, an inspector with the Chicago police, to look into reports of mysterious disappearances around the White City. Inspector Wylde tries to dismiss her claims as exaggeration of an overactive imagination, but he eventually concedes to letting her go undercover as secretary to the man in question—if she takes her pistol for protection and Jude Thorpe, a policeman, for bodyguard. Will she be able to expose H. H. Holmes’s illicit activity, or will Winnifred become his next victim? I'll admit this book didn't grab me right away when I got an email about reviewing it, but the fact that it is based on a true crime intrigued me, so I requested it, and am glad I did. It was a very enjoyable read. The book is set in 1893 during the Chicago World Fair. The daughter of the Chief Inspector goes undercover with a police detective to protect her. The book is well, written, and I found it very suspenseful. The author came up with some great characters, and spun a great historical fictional account around them. This author is new to me, but I really did enjoy the book, and even though I more or less guessed on the one part, I was still surprised at exactly how it happened and was reading as fast as I could to see what would happen. 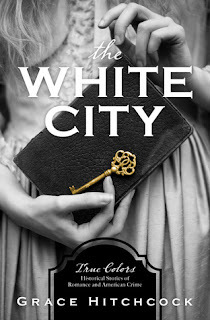 White City is different from the usual suspense novels I read, but I definitely recommend it, and look forward to more in the series. I was given a copy of this novel in exchange for my honest review. Grace Hitchcock is the author of The White City and The Gray Chamber from Barbour Publishing. 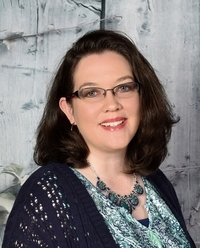 She has written multiple novellas in The Second Chance Brides, The Southern Belle Brides, and the Thimbles and Threads collections with Barbour Publishing. She holds a Masters in Creative Writing and a Bachelor of Arts in English with a minor in History. Grace lives in southern Louisiana with her husband, Dakota, and son. Visit Grace online at GraceHitchcock.com.